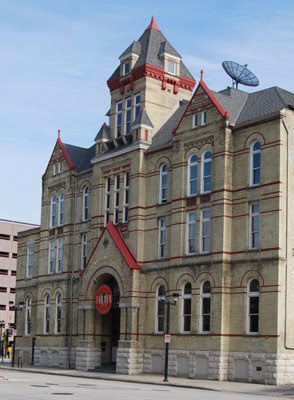 Located on 4th Street across from the Bradley Center, Turner Hall has been part of the Milwaukee landscape since 1883. The "Turners" were a society of German immigrants and exiles, and used the hall for social, cultural and athletic gatherings. You can read more about the history of the Turners on their website. Ah, I was thinking before I read your comment: that looks very Bavarian!